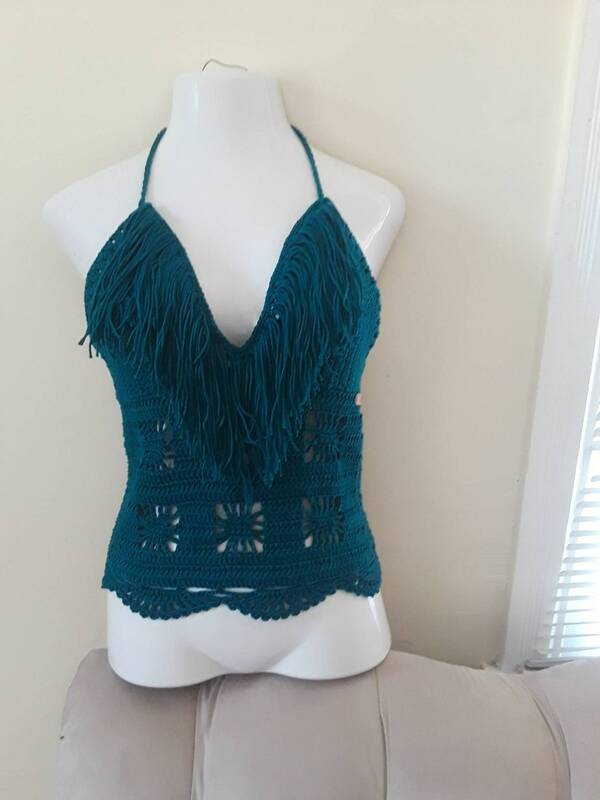 This is a crochet Teal TANK HALTER TOP made using 100% cotton yarn . 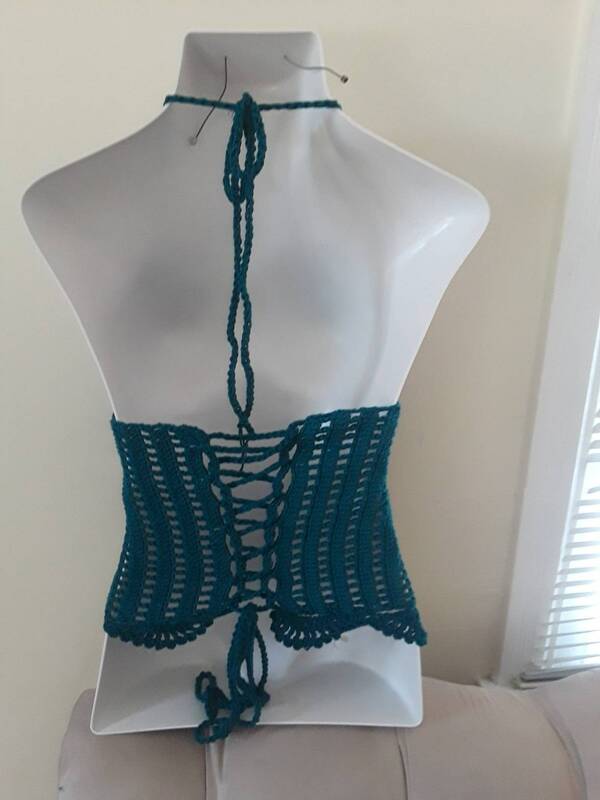 This crochet halter top is longer than most of my tops and is perfect for someone who wants to cover their whole tummy, yet enjoy the look of a halter top. 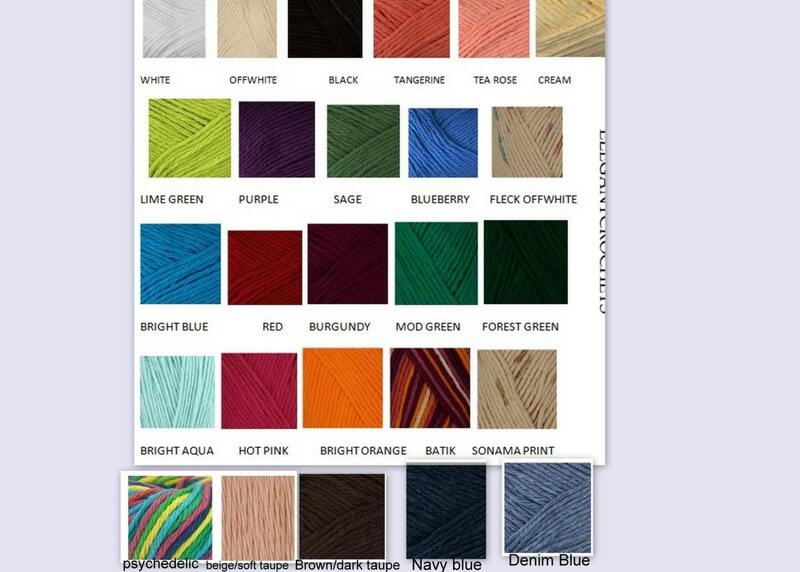 Top is perfect for all your FESTIVAL needs, summer days and beach wear.